A new version of iOS for beta testers has revealed two possible upcoming features. The first is a magazine subscription service, which has been long rumored. The second is the ability to use voice-activated “Hey Siri” with the wireless AirPods. 9-to-5 Mac found evidence of both features. There was evidence that one could bundle the magazine service with others, possibly Apple Music. The current AirPods can already use Siri with a physical tap to initiate it, but some believe it is the second generation AirPods that may allow for voice activation, which would require some sort of active listening. 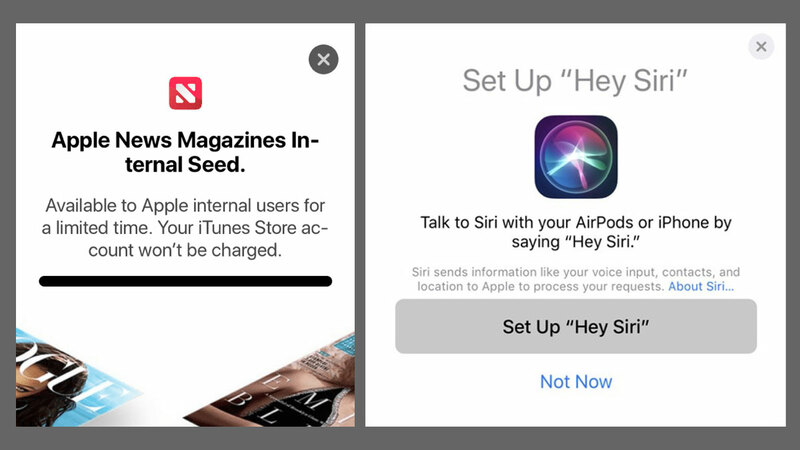 Leave a New Comment Related to "Beta Software Leaks Point To Magazine Subscriptions, AirPod Hey Siri"